Here’s an outline of the direct examination I’ve used in commercial lease eviction cases at trial representing a landlord. Assume a commercial tenant who has defaulted under a commercial lease and I’ve called the lessor’s property manager to testify concerning the lease, the 5-day notice, the tenant ledger, the lease guarantee and to provide damages testimony. Necessary documents/exhibits: (1) Lease and Guaranty, (2) 5-day Notice, (3) Tenant Ledger, (4) Management Agreement (contract between owner and property manager that authorizes property manager to collect rents and to prosecute forcible action if tenant breaches lease); (5) Fee petition (assuming lease contains fee-shifting language); and (6) any legally significant correspondence (i.e. a lease termination notice). Obviously, at trial, I often have to deviate from my script but this hopefully provides a useful outline of key topics. Also – some of the questions are leading and may have to be rephrased. My experience though is most judges give some latitude in the interest of streamlining the examination. Q: Where are you employed? Q: What are your day-to-day duties? Q: Are you familiar with the property that is the subject of this lawsuit? Q: Can you describe that property please? 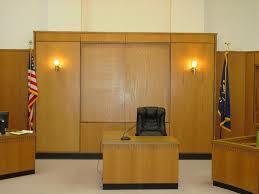 Q: Are you familiar with the tenant and defendant in this case? Q: What is your company’s relationship to Property Owner? Q: Is your company authorized to collect rents on this site? Q: Do you recognize this document? Q: have you seen this before? Q: In what context have you seen this? Q: Showing you what’s been marked as Exhibit 2 – do you recognize this? Q: What is commencement date and end date of the Lease? Q: Do you recognize the signatures on the Lease? Q: Do you (or does your company) keep records of rents charged and owing under this lease? Q: What, in general, do those books and records consist of? Q: Is this the type of document you’ve seen before? Q: Is this a document you’ve seen before? Q: What information is contained on here? A: It’s a written itemization of rent payments made and owed as well as other lease charges? Q: What’s the source of these figures? A: It’s based on payments received and charges made as entered into our leasing data software program. Q: Is this prepared and kept in the regular course of [Property Mgr’s] business? Q: As Vice President of Leasing who has responsibility for the account with the tenant-defendant, do you have personal knowledge of lease payments due and owing from this tenant as well as payments made? Q: Is the tenant still in possession to your knowledge? Q: How much does the Tenant owe through today? Q: How did you arrive at that number? Q: How much does the Tenant owe through the end of the Lease term? Q: Is this a type of document you’ve seen before in your capacity as VP of leasing? Next Next post: The Contractual ‘Pay-If-Paid’ Clause – How Broad Is Its Scope?